A poster for Forest Park Forever! 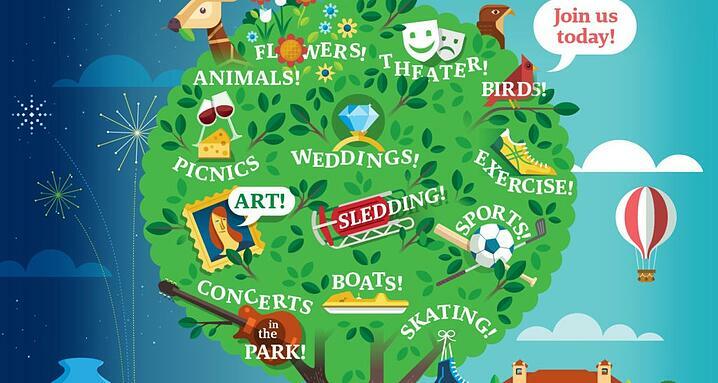 St. Louis' Forest Park Forever wanted an information-filled graphic to compel supporters to donate or to become a full. Get your Arch posters here, folks! We've been working on this for a while and it's finally ready—and just in time. 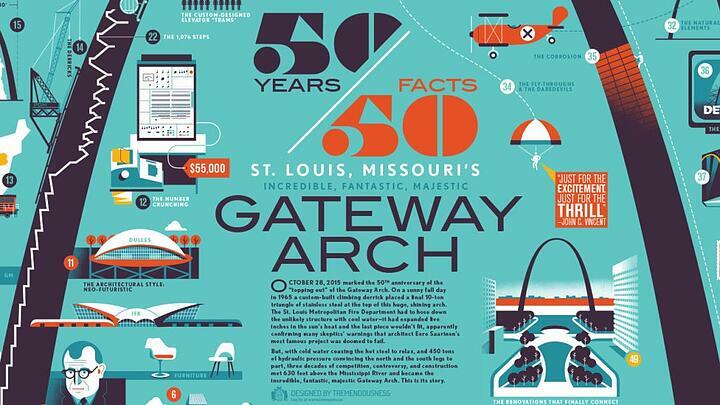 This year marks the 50th anniversary of the "topping out" of Saint Louis's incredible Gateway Arch.